A plastic surgeon — convicted of kidnapping, and facing a medical malpractice lawsuit — and his girlfriend are found dead in what investigators are calling a murder suicide. The discovery of the bodies of Joseph Berg, 47, and Lucy Schwartz, 49, in a Salt Lake City home came just before noon on Monday. Berg left prison after serving time for a kidnapping his girlfriend just four days prior to the discovery. According to Utah Count Deputy Attorney Craig Johnson, the family member discovered the bodies after Berg failed to answer his phone. Johnson says there are currently no signs of trauma, but law enforcement is continuing to investigate the deaths and treating them as suspicious. Law enforcement is currently awaiting autopsy and toxicology reports to determine the cause of death for Berg and Schwartz. A November 911 call lead to Berg’s arrest for kidnapping. Police entered the man’s home, where they found Schwartz bound with medical tape. Berg reportedly tied Schwartz to a dresser, stuffed a rag in her mouth and dragged her down the hall by her hair. A judge sentenced Berg to six months in jail for the incident. Berg received an early release on August 23 for good behavior. In addition to prison time, the judge also sentenced Berg to three years probation, and anger management and substance abuse treatment. In an emergency hearing last November, the state of Utah stripped Berg of his licenses including his physician license, surgeon license and his controlled substance prescribing license. The suspension order issued by the Utah Division of Occupational and Professional Licensing stated that a large group of Berg’s staff quit because they felt he was acting peculiarly. The workers reported that Berg fell asleep standing up, swallowed a handful of pills and bought drugs not used in his practice. During the emergency hearing order, Berg had 29 prescriptions for himself, one for a controlled substance, and 21 prescriptions for Schwartz. Of the 21 prescriptions, 20 were controlled substances including hydrocodone, oxycodone and fentanyl patches. Berg said in court during his sentencing hearing for kidnapping charges he suffered from A.D.D. and depression. He also said he was battling a prescription pill addiction that would affect him for the rest of his life. In addition to a kidnapping conviction and loss of his medical licenses, Berg also faced a medical malpractice lawsuit filed in June by a former patient. The former patient, Jennifer Swahlberg, claimed Berg tried to operate on her using a “pickle fork” after the anesthetic wore off. Swahlberg scheduled an abdominoplasty and liposuction procedure at Berg’s clinic in Orem in May of 2011. The medical malpractice lawsuit states that during a follow up for Swahlberg, Berg administered steroids and local anesthetic before leaving the room for an hour. Upon returning, Berg repeatedly stabbed Swahlberg’s insides with a “pickle fork”. During Swahlberg’s recovery, Berg told Swahlberg to wear compression garments, but did not inform her “regarding post-op drainage” according to the Herald Extra. According to the lawsuit, Swahlberg returned to Berg with pustulant wounds, “draining blood and purulent fluid”. Berg then shoved gauze into the woman’s wounds with his fingers and failed to document it properly. In another follow up visit, Swahlberg states she waited three hours for Berg. While waiting for the doctor, the woman heard a loud crash in the hallway and opened the door to find Berg sprawled across the floor with his eyes opened and glazed. The new wounds did not heal. Swahlberg tried to schedule another appointment with Berg’s office, but his staff refused to schedule one and eventually quit answering Swahlberg’s calls. The procedure left Swahlberg with permanent scars on both the inside and outside. The lawsuit filed in court alleges Berg committed medical malpractice, battery, lack of informed consent and negligence. Prior to Berg’s death, Swahlberg was seeking special, general and punitive damages and asked for at least $300,000. 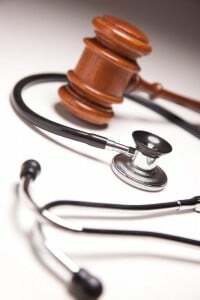 If you or your loved one believes you experienced injuries resulting from a physician or other health care professional, you need to contact a South Carolina medical malpractice lawyer. The South Carolina medical malpractice lawyer at the Strom Law Firm will fight to get you the compensation you deserve for your injuries. Call us today for a free confidential consultation. 803.252.4800.